Our Premium 11" x 17" Lustre Inkjet Photo Paper (20 sheet pack) provides rich colors and bold blacks for elegant and portrait-quality prints Print pictures that are smudge-free, water-resistant, and made-to-last thanks to a special resin coating on all sheets. 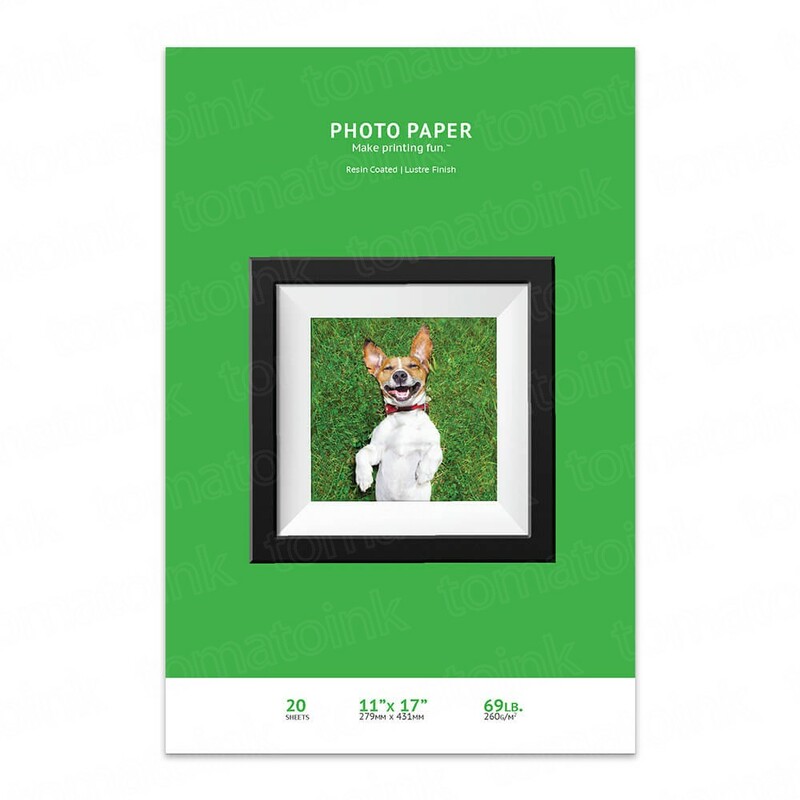 Total weight of this photo paper pack is 260g (or 69lbs) while most other photo papers weigh in at 200-240g. Universally compatible (special coating) with most photo printers as well.